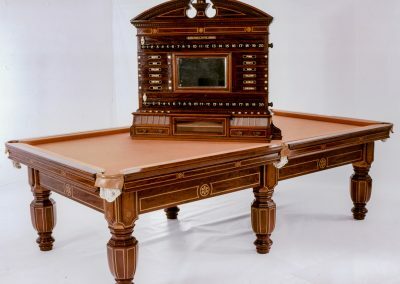 Reproduction antique billiard table, based on an original table owned by Tsar Nicholas II of Russia. 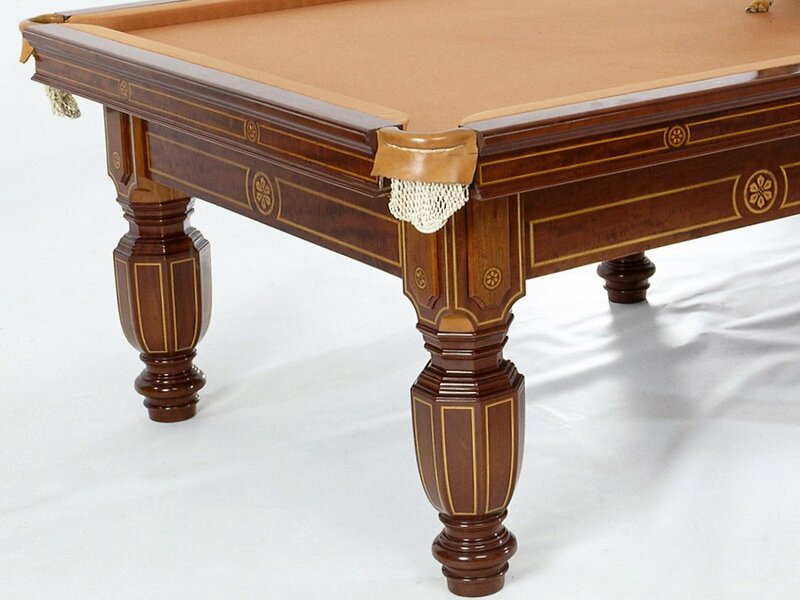 The table had a 9ft x 4ft 6″ playing slate and was made from Solid and veneered Mahogany with Satinwood inlay. 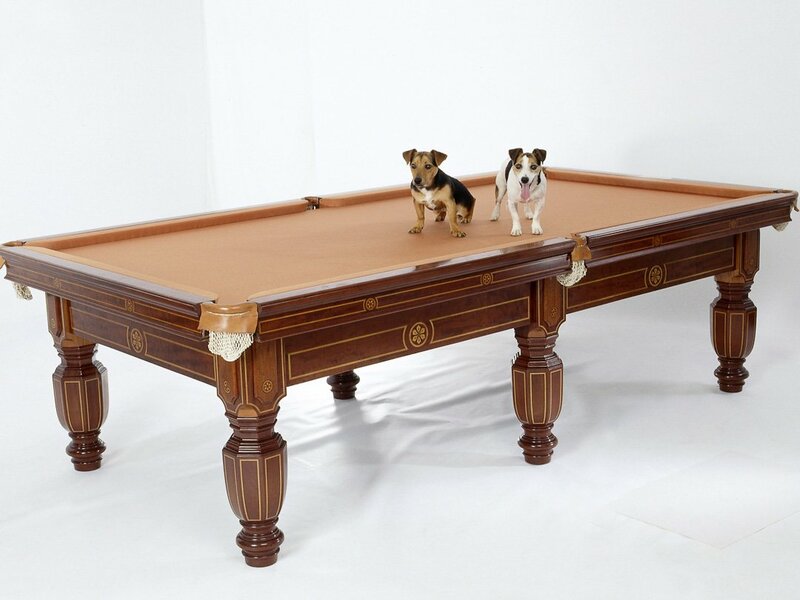 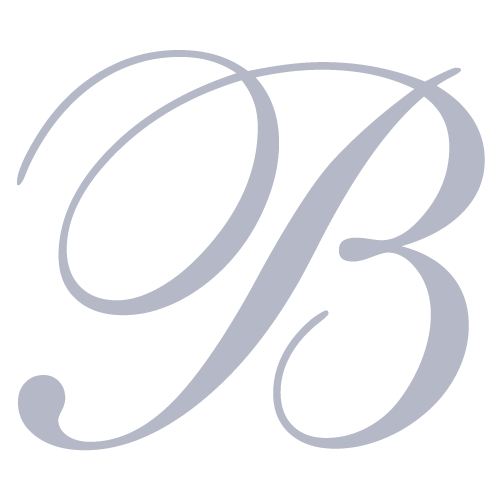 We have made faithful and detailed reproducitons of the 9ft tabale, and variations with different sizes – including full-size Snooker and Russian billiards – with a 12ft x 6ft slate. 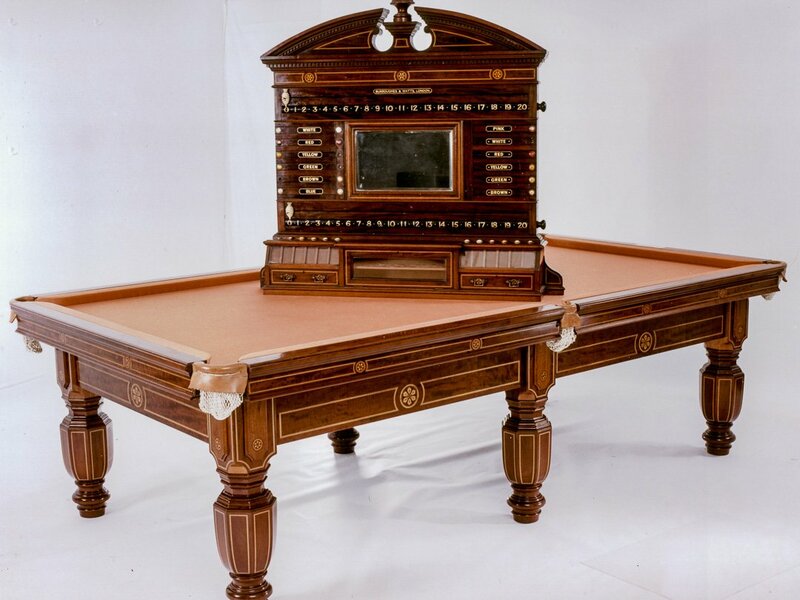 We also offer reproduction accessories, such as the marvellous matching scoreboard cabinet shown in the photos.